Dash Cam 55 is an easy-to-use high-definition driving recorder with 2.0” LCD display. With a wide-angle lens, it captures the entire road and includes GPS for detailed time and location data, pinpointing exactly where and when events happened. 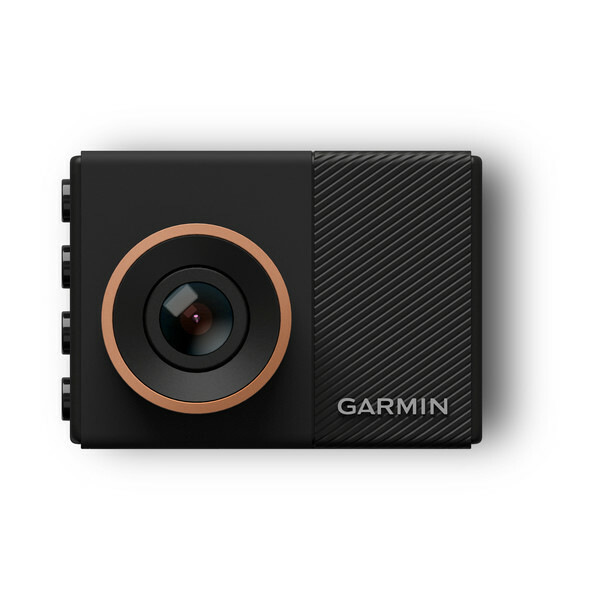 Rely on your Dash Cam 55 to capture excellent video detail in both bright and low-light conditions. Mount the camera to your windshield, and record your drive in 1440p. 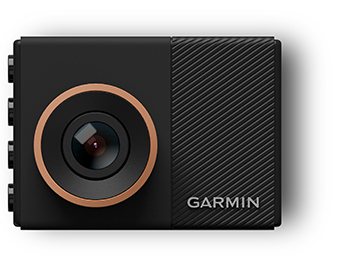 Dash Cam records in a continuous loop, using the included replaceable microSD™ card. To add more memory, add a larger microSD card (accepts up to 64 GB, sold separately; Class 10 required). Play back the footage right on the display or review later on your computer. No need to worry about starting and stopping. If Dash Cam 55 is plugged into a powered source, it starts recording automatically and saves footage in case of incidents. Dash Cam 55 features automatic incident detection (G-Sensor) so when an incident is detected, your camera knows to save the current, last and next recordings, thereby preserving a complete record of the event. And all this information is saved to the included Class 10 replaceable microSD memory card. For a close-up view of vehicle or property damage, you can remove Dash Cam 55 from your vehicle and take snapshots. Dash Cam 55 has built-in Wi-Fi® so you can wirelessly sync videos to your compatible smartphone after downloading the free VIRB® App. This makes it easy to share videos with friends, insurance agencies or legal authorities. Dash Cam 55 features helpful driver awareness warnings to help encourage safer driving. 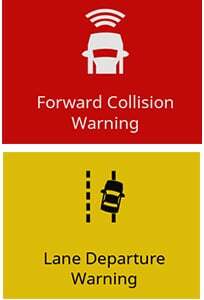 The forward collision warning¹ alerts if you drive too closely to the car ahead. Lane departure warnings¹ alert you if you stray from your lane. The red light and speed cameras warning² alerts you to nearby red light cameras or speed cameras. With a subscription, your Dash Cam 55 is linked to the Cyclops™ database, which is maintained daily and contains information about fixed red light and speed cameras. And when your vehicle is stopped at an intersection or in traffic, the “Go” alert notifies you when traffic ahead of your vehicle is moving again.